Helping you look your best. Sure, we’re known for our exceptional dry cleaning services, but did you know that we can also launder your garments? 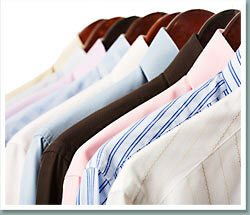 From T-shirts to formal wear, we know how to clean your items so you and your clothes look great. Whatever your care label requires, let us take care of it for you. Dry cleaning provides thorough yet gentle cleaning for dry clean-only items and garments that require special handling. This process can remove grease and stains that water cleaning may not, and it won’t cause fading or shrinkage. 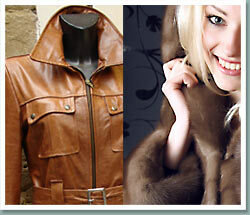 Dry cleaning is a great way to extend the life of your garments, saving you money in the long run. Fluff & fold is a wonderful convenience for your everyday cleaning. Your items will be washed, dried, folded, and returned in a paper tote bag. Great for T-shirts, sweatshirts, sweatpants, jeans, athletic wear, and bed linens. Professional laundry is our way of helping you with your home laundry. Items will be pre-spotted, washed, dried, pressed, and returned on hangers. Suggested items include golf shirts, knits, cottons, denim, khakis, and bed linens. Wet cleaning is a service for expert stain removal and the careful handling of garments with special care labels or beaded, painted, and other delicate fabrics. Management trained in fabric care will provide TLC for these extra-special items. Stop by one of our 12 convenient locations and speak to one of our experts or contact us to find out which service is best for your items. Your shirts . . . cleaned your way. Starch or no starch? Folded or on hangers? Your wish is our desire. But no matter what you choose, you can be sure your shirts will be their whitest white and brightest bright when they are returned. Just stop by one of our 12 convenient locations and tell us how you want your shirts cleaned. Or you can let us pick them up and deliver them. Contact us to find out how this free and convenient service works. 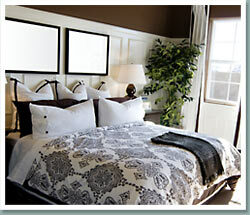 Refresh your home with clean drapes and curtains. You spend a lot of money on your curtains and drapes. Let our cleaning experts and specialized equipment help keep them looking newer longer. Through our “Adjust-A-Drape” process, your drapes and curtains will be professionally cleaned and returned to you with even hem lines, guaranteed length, and decorative folds restored. 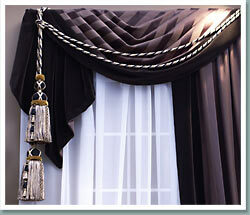 We can even take your drapes down and rehang them for you. Keep your household items fresh and clean. Whether your household items are too large for home laundering, have special care labels, or have delicate needlework or other particular needs, our experts will get them looking like new again. Just bring your items to one of our 12 convenient locations or contact us to find out about our free and convenient pickup and delivery service. Due to the size of these items, we ask that you leave them with us for our regular three-day service. Entrust your wedding gown to the experts. 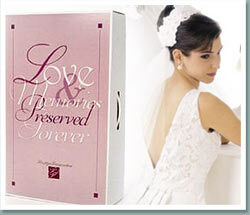 Your wedding gown is one of your most precious possessions, and as such it should be treated with extra care. We can provide the expert handling your gown needs—both before and after the big day. Before your big day – We can clean and/or press your gown to ensure you look your best. After the wedding – We’ll clean and preserve your gown so you can cherish it for years to come. Through our “Prestige” service, your gown will be professionally cleaned and specially packaged to preserve it. Just bring your gown to one of our 12 convenient locations and we’ll help you preserve your memories of your special day. Plus, receive a 25% discount when you pick up your gown within a month after we contact you to let you know it is ready. We clean more than fabric. Stop by one of our 12 convenient locations or contact us to find out more about how this service works. Due to the special process these items require, please allow 3–4 weeks for cleaning. When you don’t want a lasting impression. 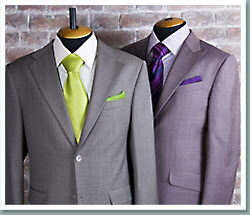 We do our best to prolong the life of your garments and save you the cost of having to replace items in your wardrobe. Our spotting technicians have years of training and experience in removing stains gently and thoroughly. So don’t risk ruining your clothes forever by trying home remedies; bring them to one of our convenient locations or call about our free delivery service, and leave your items in the hands of the experts. Keeping your clothes in good repair. Is your wardrobe in need of some repairs or alterations? Let us take care of your mending needs. Just bring your items to one of our 12 convenient locations or contact us to learn more about this service. Running out of room in your closet? 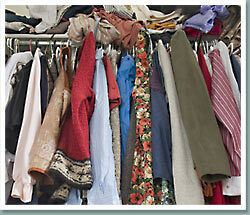 Bring your out-of-season clothes to Williams Cleaners and let us keep them for you. Your clothes will be cleaned, pressed, and stored in our vault to protect them in all seasons and free up much-needed space in your closets. Plus, our worry-free service means you won’t have to pay until you pick your items up. Contact us today to find out more about this convenient service. No job too big (or small). Does your business or organization have items that need cleaning? Let Williams Cleaners take care of them for you. From uniforms to choir robes, banners to tablecloths, if you have bulk or other specialty items for cleaning, we can take care of them for you quickly and with the same care you’ve come to expect from our individual service. Contact us today to find out more and to get a rate quote. When life takes an unexpected turn. If you’ve been involved in a flood or fire, we understand how important it is to try to salvage as many personal items as possible. That’s why we’ve been partnering for years with All Care and Servpro of Lincoln, experts in fire and water restoration services, to bring specialized care to your clothing and other household items after smoke and/or water damage. Because we believe in reducing waste. Don’t need all those wire hangers and plastic garment bags from dry cleaning? Don’t throw them away! 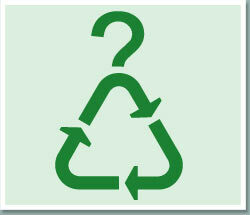 Simply bring them back to us and we’ll recycle them for you. It’s all a part of our commitment to reducing waste and protecting our environment.